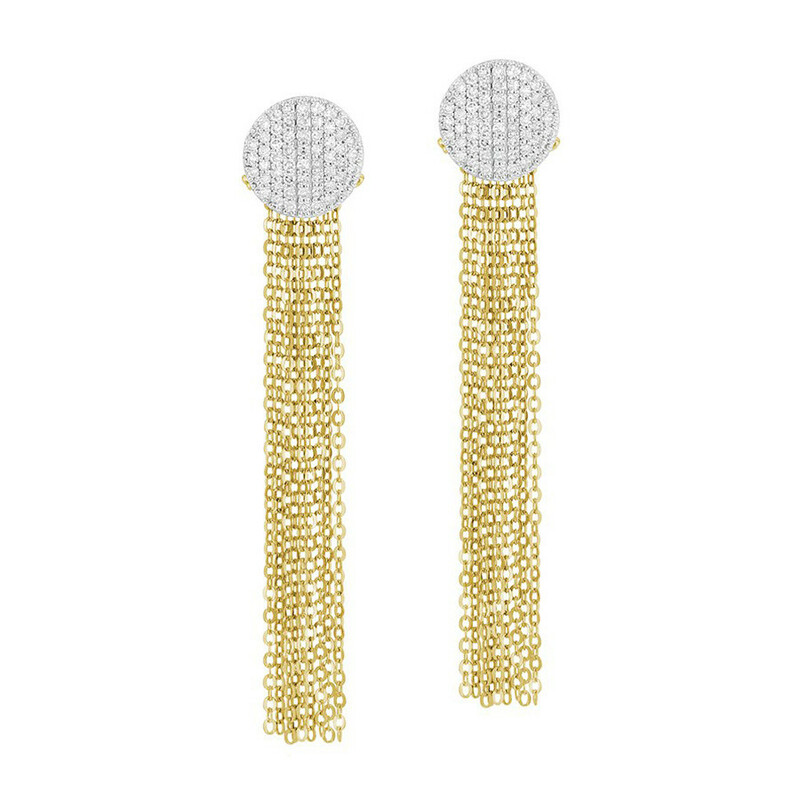 These extraordinary earrings from Phillips House's Affair collection present a shining, sparkling pave diamond disc set in 14K white gold, supporting a terrific trim of 14K yellow gold chain link. The on-trend tassel will follow your every movement. These ornamental Phillips House earrings present an outstanding option for your earlobes!